Lahore: Lahore is home to great architectural marvels where Mughal and Victorian era buildings stand out. 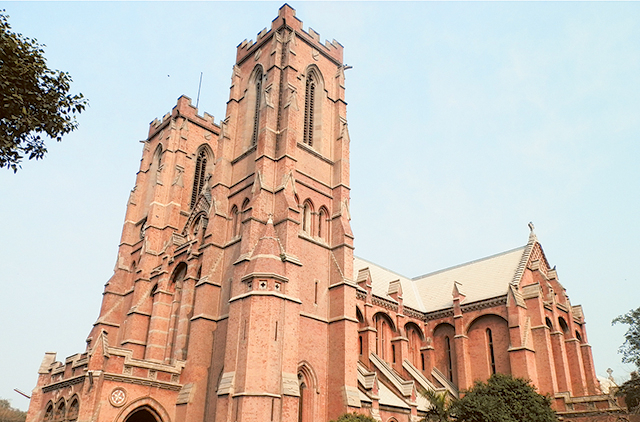 Lahore Cathedral (formally called Cathedral Church of the Resurrection) is one such building. Located near the Lahore High Court it is spread over a vast tract of land. The church compound touches on the four sides the Mall Road, Hall Road, Abbott Road and Begum Salma Tassaduq Road. The consecration of the cathedral was held on January 25, 1887. This year the cathedral is celebrating 128 years of its existence with special services and activities. 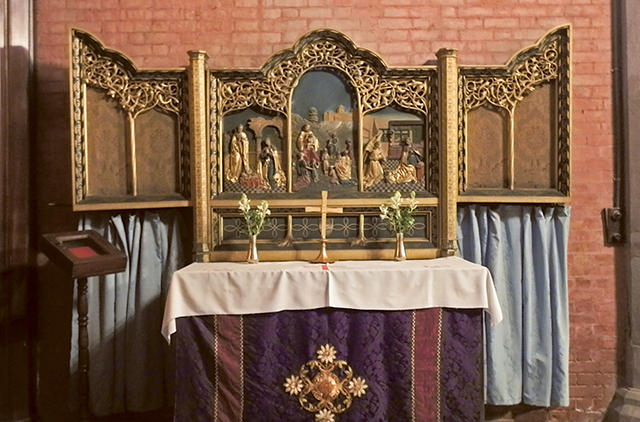 The church conducts an English service every Sunday morning, and the Urdu service takes place later in the day. Even after the passage of all these years the cathedral is a buzz of activity as regular services are held every day while special occasions like Independence Day, Defence of Pakistan Day and Pakistan Resolution Day are celebrated with zeal and fervour. Historians say that the first church in the city of Lahore was constructed near the Lahore Fort in 1595. Two centuries later during the British Raj there was need for building a large church due to growing Protestant congregations. The vision for the Lahore Cathedral came from Thomas Valpy French, who became the first Bishop of the newly created Diocese of Lahore in 1877. Bishop French wanted to build a cathedral worthy of Lahore. Construction of the cathedral began in 1877 and was completed in 1887. During this period, work was stopped twice due to a shortage of funds and also due to the Afghan wars of 1879 and 1880. The cost of the project escalated to over £50,000 (Dh280,972). The whole project was completed with donations. When one walks from the porch to Lantern Square on either side there are the 10 beautiful stained glass windows, which over the years have been damaged. Efforts are being made now with the help of Dr Grace of Forman Christian College to restore the beautiful pieces of art that have the richness of the medieval type colours and glass. The conservation work has started. If one visits the UK or France one can see similar splendour in the Gothic cathedrals there. Besides the stained glass beauty of seven circular trefoil windows in the ambulatory are breathtaking. The tiny Taxila Cross marks the entrance to Lady’s Chapel. 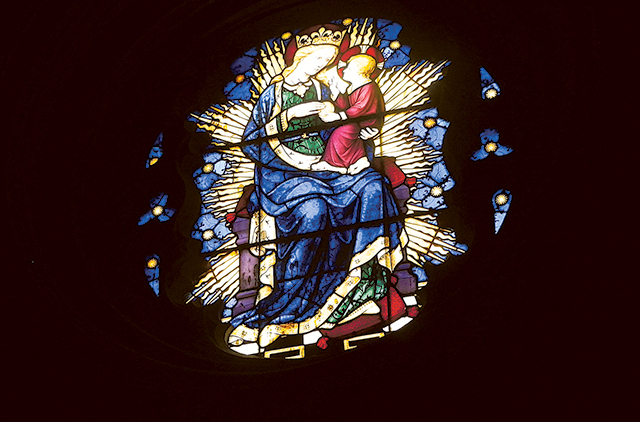 The beautiful stained round windows of the Madonna and Child bathe the whole chapel in orange light during the afternoon. On the side of the nave on the northern transept is an ornamental screen that has images of the childhood of Jesus Christ. There is a memorial along the whole width of the north wall in the form of teak wood panelling on which are placed 14 regimental crests. On almost every wall of the cathedral there are memorials bearing crests and tablets made of bronze and marble in memory of prominent members of the clergy, bishops, distinguished officers of the British Army and prominent members of the congregation. The sanctuary behind the altar has seven circular trefoil windows of stained glass while the marble floor is amazing. The marble was provided by an English soldier, Baden Powell, who later founded the Boy Scouts in 1908. The Lahore Cathedral is famous for the two towers whose height it is said was reduced. At one time it was the tallest structure of the city and one could see across the whole city from the top. 138 steps in the north tower lead to the top. This tower also houses the clock manufactured in 1862 with clock weight and bell. The south tower has the chamber for bells. The frame for bells was made to accommodate eight, but only six arrived from UK. They were cast in 1903 by John Taylor & Co. The largest weighs one tonne. The grandeur and historic values make the church a must-visit place. One can say this cathedral is to Lahore what St Paul’s Cathedral is to London.